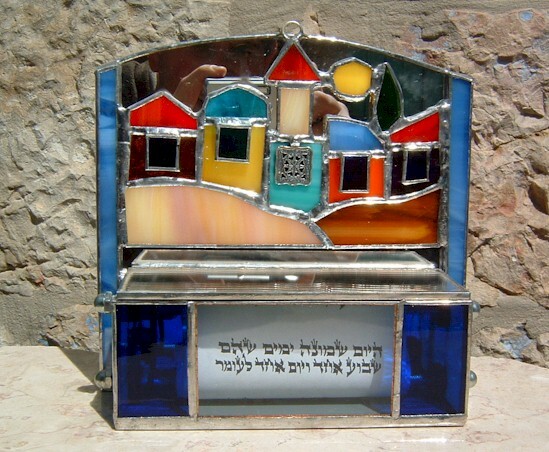 This beautiful stained glass Passover Seder plate is handmade by Chaim Peretz in his workshop in Nachlaot, Jerusalem, Israel. Each piece is unique, completely handcrafted and 100% kosher. 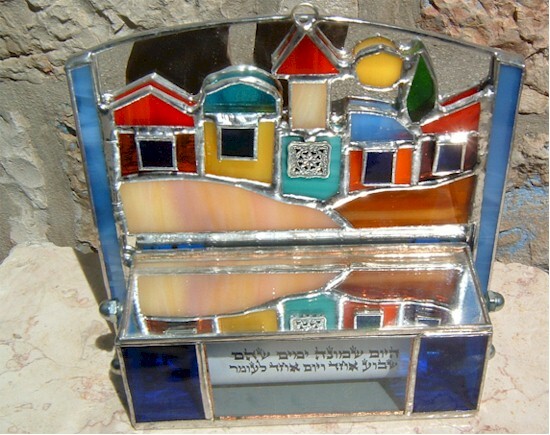 This elegant stained glass and sterling silver piece is a wonderful way for counting the Omer. The counting is intended to remind us of the link between Passover, which commemorates the Exodus, and Shavu'ot, which commemorates the giving of the Torah. It reminds us that the redemption from slavery was not complete until we received the Torah. 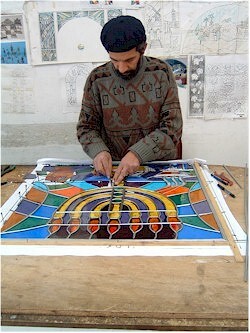 Handmade from stained glass and sterling silver. 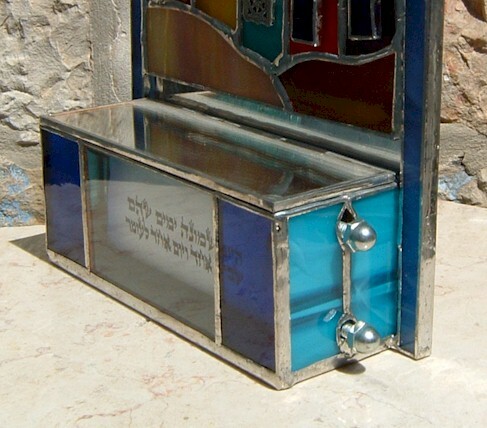 This is a beautiful gift for any home, synagogue or for anyone who appreciates fine stained glass work. What a wonderul gift! Measures: 7 x 7.5 inches. 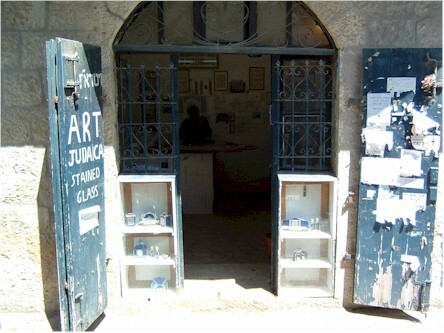 Shipping and handling to any location Worldwide from Jerusalem, Israel is only $19.99.